In the continuing saga of Pete the Moose, only two questions seemed to remain Tuesday after the House approved a bill to return control of the caged cervid to the “public trust” and the Department of Fish and Wildlife. Neither question had to do with whether the bill is likely to become law. It is. Even Rep. Robert Lewis, the Derby Republican who made the strongest argument against H. 91 when it cleared the Committee on Fish, Wildlife, and Water Resources last week, acknowledged that the Senate would probably pass the measure and send it to Gov. Peter Shumlin for his signature. Lewis said he wouldn’t even bother to try to persuade senators to oppose the bill. 1. It clearly establishes wildlife as a public trust resource. 2. It confirms the Fish and Wildlife Department as the managers and trustees of the public’s wildlife. 3. It brings all wildlife back under the rule-making authority of the Fish and Wildlife Board. 4. It requires the relevant captive cervidae facility to be depopulated of native deer and moose and sets deadlines for compliance within a reasonable time frame. The signature groups and leaders below represent thousands of Vermonters from all political views and parties, many who have helped to craft H.91 and have testified for its passage. nice work all - make sure the Senate gets the message. Guess all those wicked smart folks that have been wheeling and dealing the past 3 yrs for Nelson didn't realize they were poking a sleeping giant. "this is over" we were told at a F&W Board meeting a while back. "yeah right" I thought. 1) nobody else has attempted to gain ownership of deer. so, what's the point of even bothering. We don't live under a kings rule and fragmented property ownership ensures that what happened 800 years ago, can't happen now. I was actually answering Anon 25th's question quite seriously - go to TX and look around - that's the answer. A long way from where we were last May. A sincere thanks to all the groups and individuals who signed on to the above letter and were so instumental in getting this to this point. Vermont is on the cusp of historic legislation that future generations will benefit from. Special thanks to Reps. David Deen and Kate Webb for their diligence in pushing this along and Rep. Dusten Degree for staying true and bucking the party line. We have 2 more hurdles, the Senate and then the Gov. signature. I believe both want this to move forward but it will be up to us to keep this in their sights. Let's face it. It is the dishonesty of hunters that people don't like. they talk of of restraint, conservation, woodsmanship, sharing, ethics and the like, yet their actions do not often reflect these things. They crowd sportsman shows to buy the latest gadget , to find the easiest, most exclusive place, to shoot the monster to be bragged of and claim they are in "touch with nature" as the corn spills from their prize they hope to put in a record book under their name. Hunting needs reform, people are often a product of a society in which lazy, self centeredness, money driven "recreational", "competitive" hunting really needs review, and this situation brings these things to light. Saving nature from those who thwart the law is never a waste of time. The shame comes from those who considered these things unimportant the first time. I just returned from the North American Wildlife Conference in Kansas City. Lots of interest in what we are doing to strengthen the Public Trust here in Vermont from the Fish and Wildlife directors and leaders of the national conservation groups. 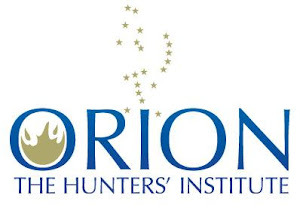 Orion has been invited to present a special session at next year's conference. 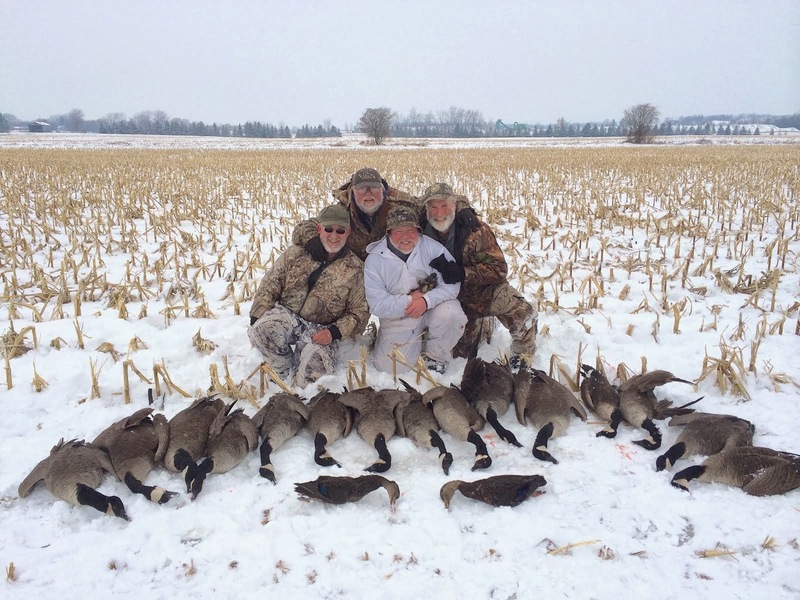 This effort is a great example of hunters speaking with one voice for the long range good of the resource and future generations. Hopefully the work you and the group has done will help find the new stewards of the future. Thanxs Eric & all! Good Ideas move AROUND! I spoke with Senator Lyons this week and offered to testify on H.91 in her committee. She asked if I was for or against. I told her for the way it passed the House. She seemed releaved, and told me she wanted to act quickly on the bill and would let me know. So - looking pretty good in the Senate.